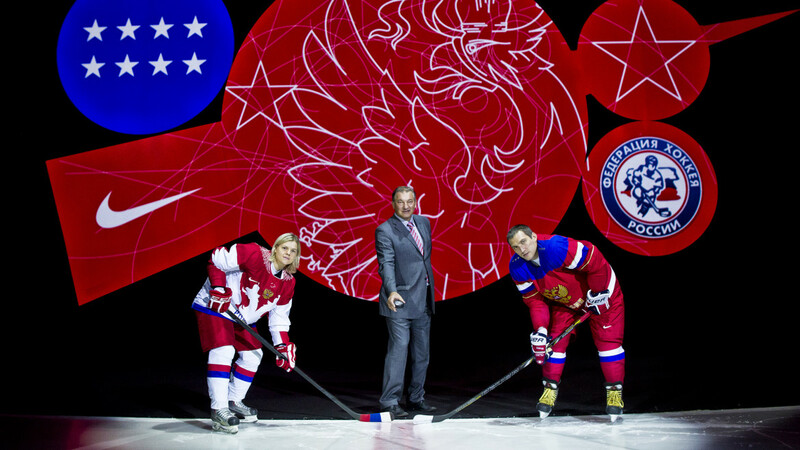 Russia has dominated hockey and owns a place in this sport’s history that is unmatched by any other country in the world. 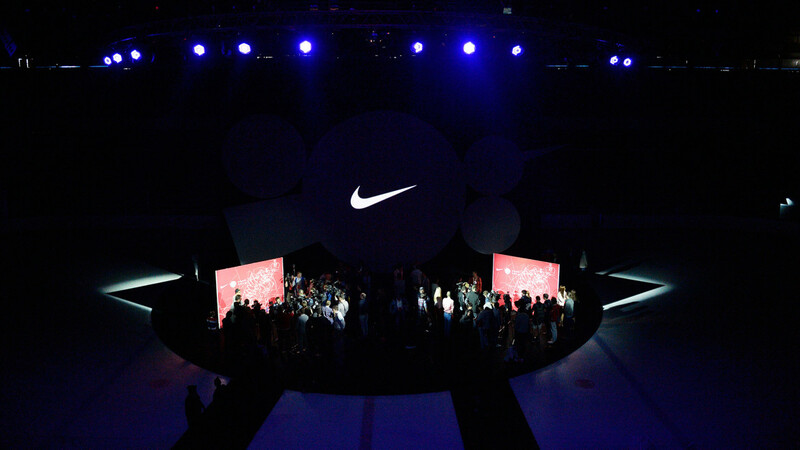 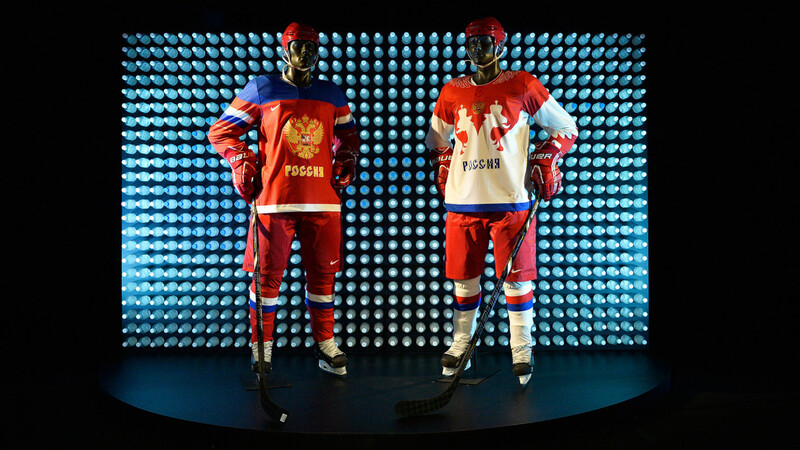 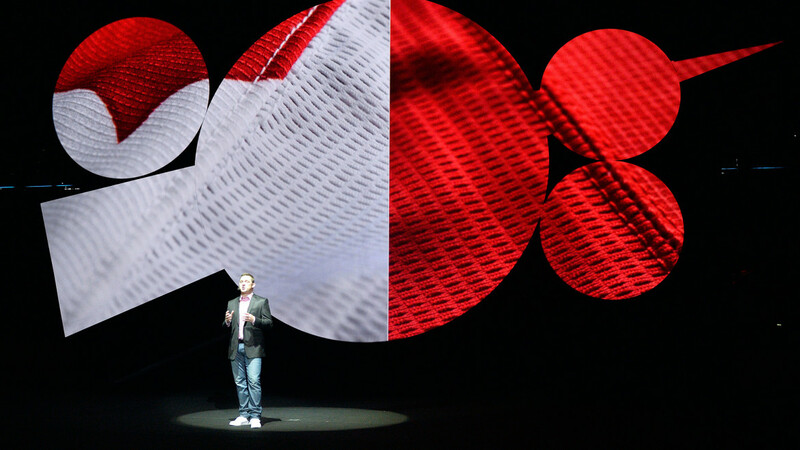 When designing the new uniforms Nike’s approach was of blending a respect of the Russian past while embracing future technology. 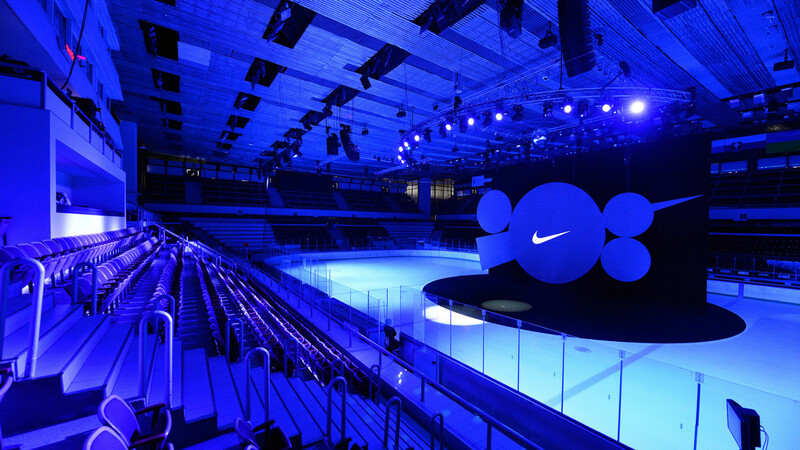 Sartoria, asked to conceive and design the launch event at Moscow’s Sokolniki Ice Hockey Arena, took inspiration from Russian emblems and symbols that represent true national pride, being hockey so entwined into the fabric of Russian culture. 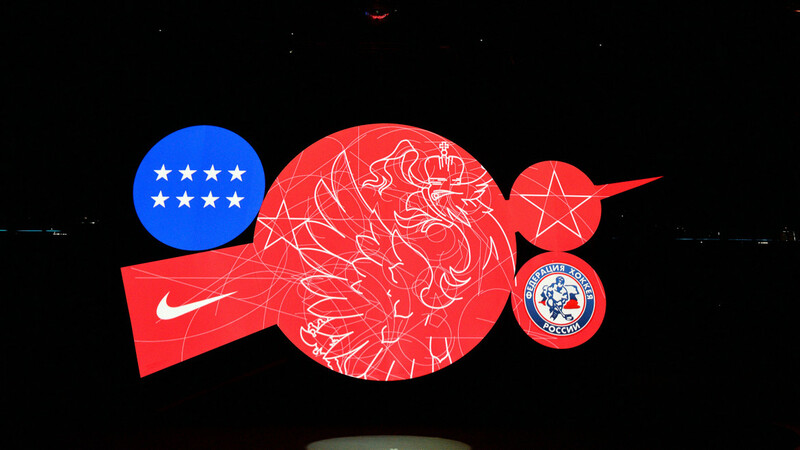 Video animations and projections on ice built a crescendo to reveal an awe-inspiring and multifaceted projection screen and stage, an homeage to Russian Futurism.